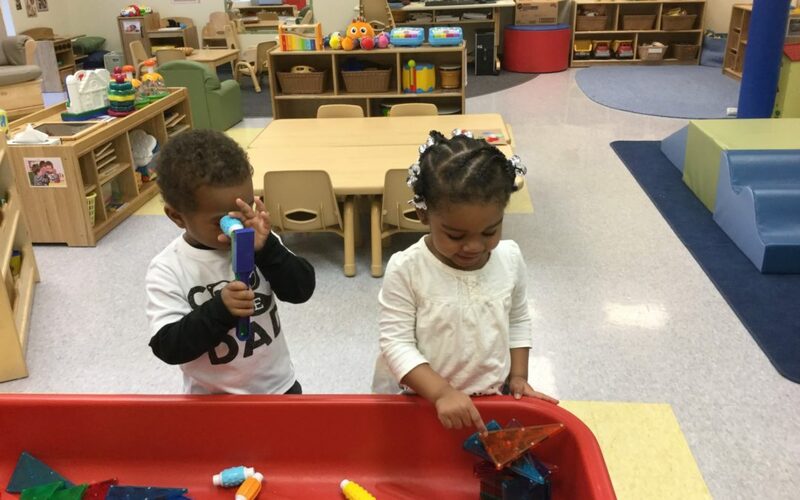 Akil and Jamie who attend Council for Economic Opportunities’ Head Start program at Puritas are learning through play. The two students took turns building inventions with items from the building box in their classroom. Quality play experiences such as this one, enjoyed by Akil and Jamie, allow children to explore, identify, negotiate, take risks and create meaning. The intellectual and cognitive benefits of playing have been well documented. Children who engage in quality play experiences are more likely to have well-developed memory skills, language development, and are able to regulate their behavior, leading to enhanced school adjustment and academic learning. 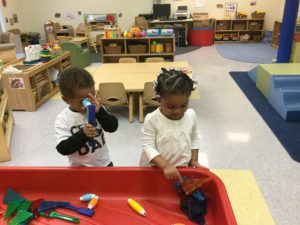 Akil and Jamie are learning through play.